You each have five days to confirm the e-mail address for your prize! 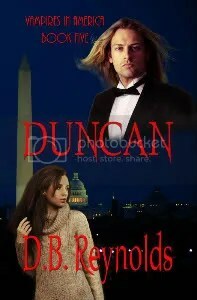 Contact me at dbreynoldswriter@aol.com and I’ll send your e-novella on its way. I’ve also sent e-mails to both of you confirming your win. Be sure and tell me which e-format you prefer. I’ve got them all! MSWord, Firefox, Adobe, EPUB, LIT and PRC. I also want to remind everyone about my GeekSpeak Interview! Be sure and check it out HERE! They’re hosting a giveaway of any one of my Vampires in America novels as part of the interview, so be sure and check it out soon. And, don’t forget, Vampire Vignette #3 has one more week of visibility and then it’s bye-bye … oh, and a brand new Vampire Vignette #4 will make its debut appearance. And after that … RAJMUND! My beautiful Rajmund will be showing up at the end of July right on schedule. I can hardly wait! I’ve gotten a lot of questions about this, so I’m adding a note regarding Amazon pre-orders … My publisher ImaJinn Books is a small press publisher. Amazon doesn’t do pre-orders with small press publishers. The books don’t come up for sale until Amazon has them physically in their warehouse and inventoried, which is about two weeks after the official release date. But while there won’t be any pre-orders available, RAJMUND will definitely be on sale at Amazon in late July! The release date of 15 July is holding. That’s my publisher’s release date which puts the books available no later than 30 July. Honest! I’m as anxious as all of you to see my Rajmund in print! Today is RELEASE DAY for Heart of the Wolf, my new werewolf e-novella! This is a whole new story for me, so I’m pretty excited. And in honor of release day, I’m giving away copies. 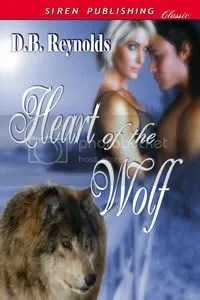 Post to my blog today and win a chance for a copy of Heart of the Wolf from Siren-Bookstrand. It’s an e-novella, so download only. You can read about it (and me) HERE. And while you’re reading, check out my new interview with Geek Speak Magazine. It’s all about seduction! It’s also about free books, because they’re hosting a giveaway of any one of my Vampires in America novels. Check it out here. LOOK AT MY BEAUTIFUL COVER!!!!!!!! Isn’t he pretty? 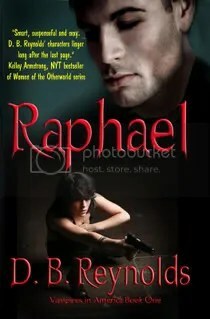 That’s my RAJMUND and I love this cover! I can hardly wait for the book to come out! It’s still going to be July and definitely the second half. I’ll do my best to keep it close to the 15th, but some things are out of my hands. In other exciting news, HEART OF THE WOLF, my werewolf e-novella is now available for preorder from Bookstrand! The official release date is June 24 and it’s available in five different e-formats, including a direct Kindle download. Clicky, clicky! Annnnnd … Vampire Vignette #3 has reappeared for its two week run. After that, I’ll be posting the brand new Vampire Vignette #4, just in time to whet your taste for Rajmund! I found out this week that Siren’s moving UP the release of my werewolf e-novella. The official release date is now June 24! Yay! I really love my wolves and can hardly wait for everyone else (well, maybe not everyone) to read their stories. 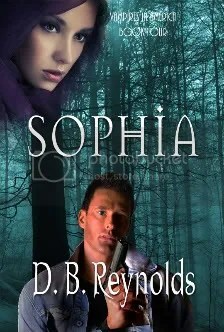 And my author page is now up, so check it out. It includes the interview questions/answers that I put together from your suggestions. On the Rajmund front (don’t hit me) the book might push back by a few days. ::sigh:: It’s not me, honest. I’m doing everything I can to keep it as close to July 15th as possible. I do hope to have the new cover art by this time next week, so I’m excited about that. And also, don’t forget that next Sunday I’ll be putting up Vampire Vignettes #3 for its two week rerun, and after that, a brand new Vampire Vignettes #4. And in the meantime, I continue to write … well, okay, I’m writing when I’m not revising for my various upcoming projects. Which is what I’m going back to right now. VIGNETTE #2 and a NEW REVIEW! But on to bigger and better things … Vampire Vignette #2 has begun its two week return run, which means Vignette #1 has retired for now, and I can’t be sure when or if it will appear again. We’ll see. 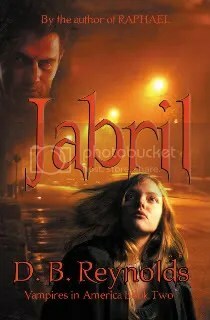 A new review of JABRIL appeared this week! A very good review, too! You can check it out here (clicky, clicky.) Thank you to Kelly Oakes of the Demon Lovers Blog, who said such very nice things about my books. I’m still living in revisionland, writing a couple of new scenes for my werewolf e-novella (more for everyone to enjoy, right?) I expect revisions on Rajmund any day now, so I want to complete the werewolves before I take up with my vampires again! Rajmund’s release is very near, I can HARDLY wait. Okay, let’s go out on a happy note! I read some great, great books the last couple of weeks. Check out my “What I’m reading now” up above for the whole list, but let me just say that Ilona Andrews latest Kate Daniel’s book, MAGIC BLEEDS, is fantastic! The best one yet. If you haven’t tried this series, you definitely should. And now, I’m going to go back to revisionland so that MY books will get out on time!